The LaCie Rugged Secure is just a good, if old-fashioned, outdoor-friendly external hard drive with a few modern touches. 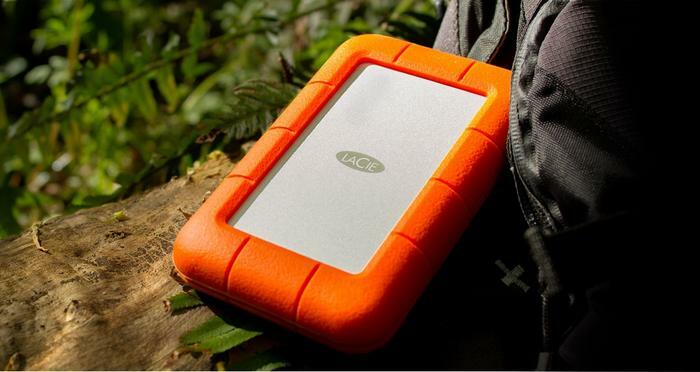 Seagate’s more up-market storage brand LaCie aren’t exactly looking to reinvent the wheel with their new LaCie Rugged Secure hard drive. Even at a glance, this feels like the product of a brand that’s concerned with keeping pace with the present but rarely looking beyond its horizons. In 2018, the case for choosing a traditional hard drive over solid-state storage has never been more difficult to make. Still, the LaCie Rugged Secure is robust enough across the board that it’s difficult to discount entirely. 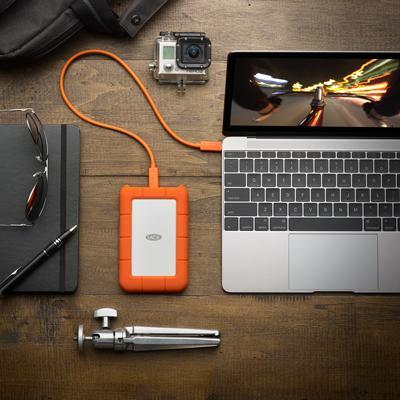 When it comes to external storage, you can do better. But you can also do a lot worse than this. Perhaps inevitably, the Rugged Secure is light on meaningful innovation but heavy on value. And if you’re into the idea of buying what LaCie are selling, you’ll probably come away pretty satisfied with the results. From the moment you hold the LaCie Rugged Secure in your hand, it’s pretty clear that this thing is built to take a hit. 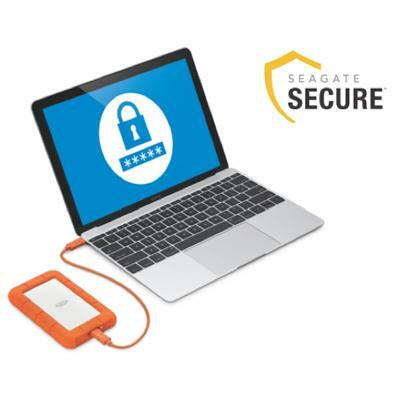 Like previous LaCie hard drives, the Rugged Secure arrives with a plethora of durability certifications plus bright orange bumper that adds further protection on top of that. LaCie claim the Rugged Secure offers 1.2m of drop-tested durability and enough crush resistance to survive a car running over it. We didn't test the latter, so we'll take them at their word. The Rugged Secure isn't not quite waterproof, but it is resistant enough to survive encounters with the rain - should they happen. Unfortunately, none of that is really new. Last year’s LaCie Rugged Secure hard drives features almost all these same perks. What is new this time around is the addition of USB Type-C and hardware encryption. The former allows the Rugged Secure to be a perfect pairing for any Thunderbolt ports you may have on your PC. The latter allows for a valuable extra layer of security that can be applied even in the event that you outright lose the Rugged Secure. By the standards of traditional portable hard drives, the LaCie Rugged Secure is surely a fast beast to behold. Going through our usual testing process, The Rugged Secure proved aptly equipped. It took a 38GB folder of video and image content upon itself in 8 minutes and 30 seconds. Copying the same folder off the Rugged Secure took 6 minutes and 15 seconds. However, predictably, the hard drive didn't fare as well when compared to portable SSD storage. The above numbers were about double what we got from SSDs like Samsung’s T5 and Seagate’s own Fast SSD. Still, they’re a marked step above the sluggish performance afforded by the more-specialised Seagate DJI Copilot hard drive. As far as hard drives go, the LaCie Rubber Secure ticks all the right boxes. But in a world where SSDs are fast becoming the preferred option for external storage, it’s hard to really quantify how valuable that feat really is. There are fews SSDs that offer the comprehensive array of durability ratings you’ll find here. It’s just unfortunate that those virtues ultimately serve to weigh the Rugged Secure down and stop it from reaching the same heights as its solid-state competition.